The Pilot is part of Knife and Fork Food Ltd which is a mix of four pubs and a catering company based in Cardiff/The Vale of Glamorgan. 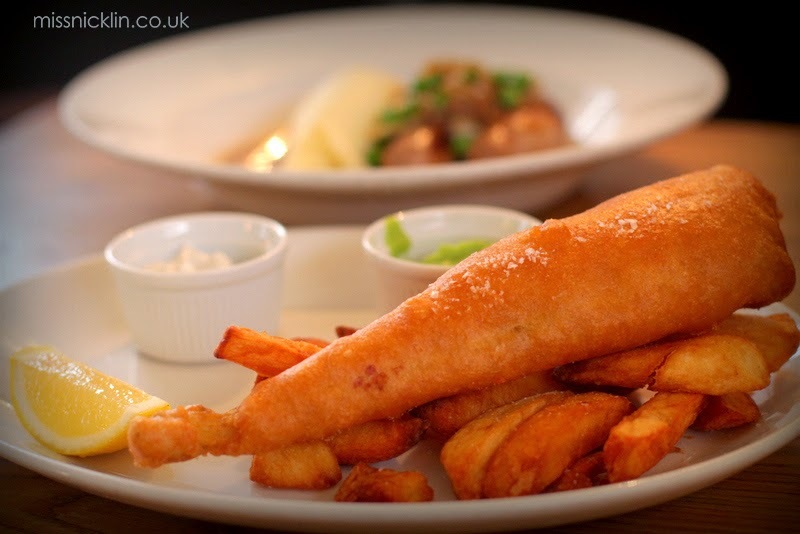 They value themselves on using quality ingredients with seasonal menus - each pub with it's own unique style. 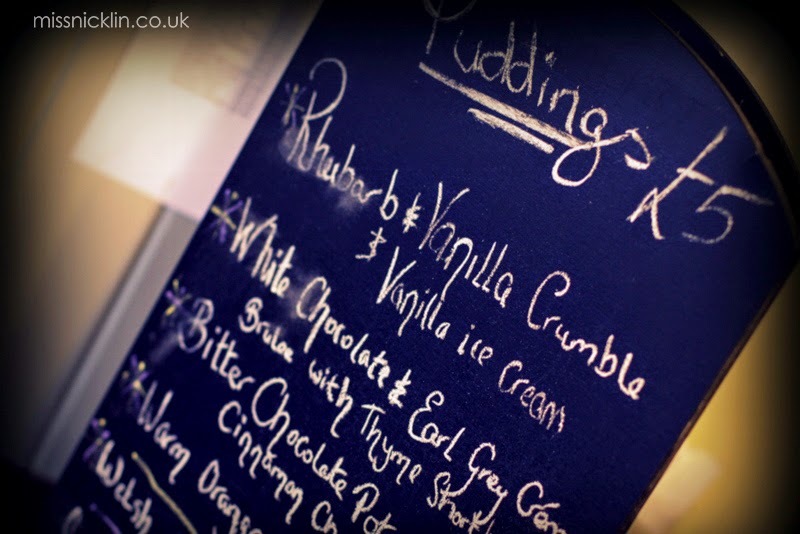 The Pilot is situated on Queen's Road, Penarth, with beautiful views overlooking the Bay. On entering the pub, we were faced with the tough decision of deciding which door to go through. Feeling a bit like Alice in Wonderland, we chose the door to the back of the pub. 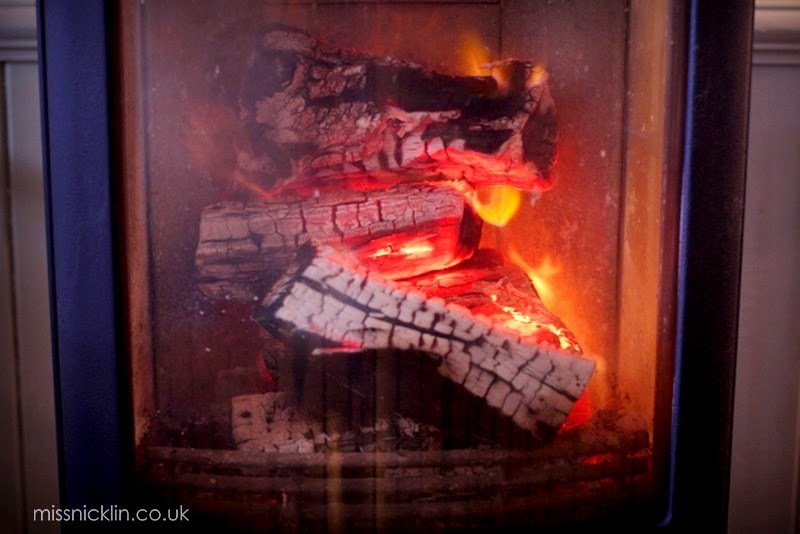 This lead to a beautifully decorated eating area, featuring a cosy fire, a french chic mirror and chalk board menus. The other door lead to the front of the pub, more of a social drinking area, but still with tables to enjoy the food! You could tell that a lot of thought had been put into the layout of the pub to ensure their customers had a pleasant experience. Our next tough decision was what to eat? 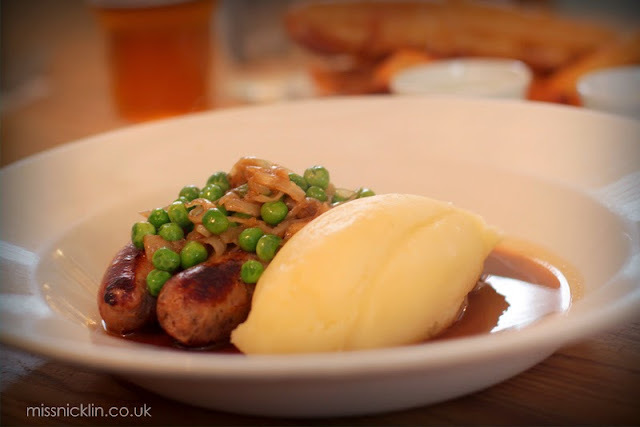 With a nice variety of choices; from vegetarian lasagna to Welsh Rib-eye Steak, this pub oozed locally sourced and cooked ingredients. 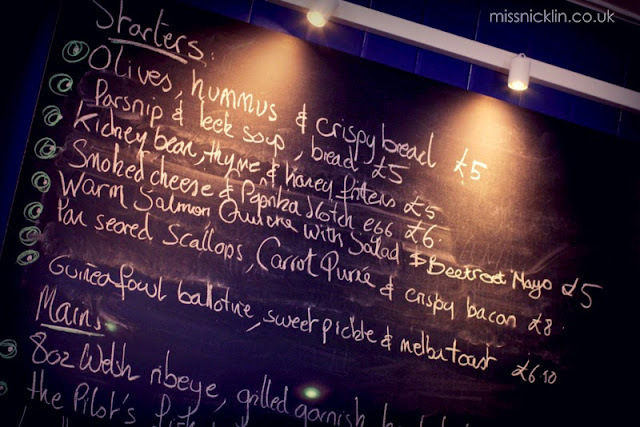 We went for the 'small lunch' menu (served Monday to Saturday - 12pm-4pm). 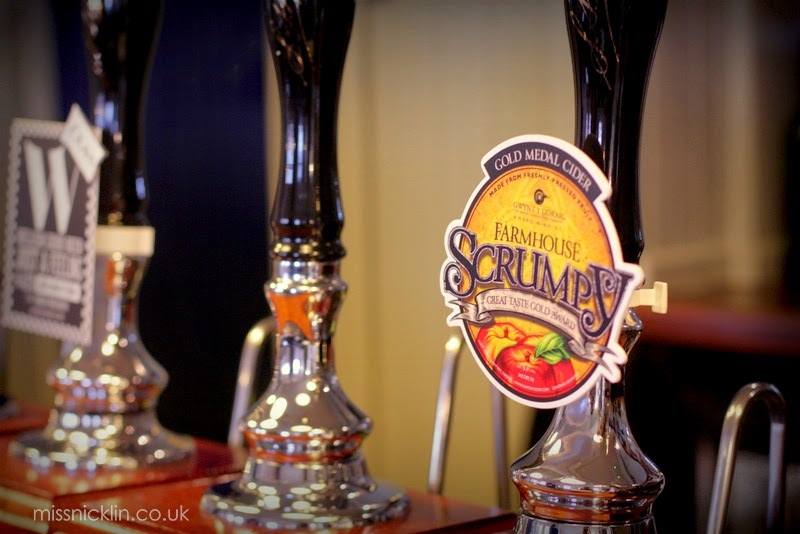 I chose 'The Pilot's Fish and Chips' and my friend had 'Local Sausages & Mash' we completed our lunch with the Welsh cider they had on tap, Farmhouse Scrumpy. Mmmm. 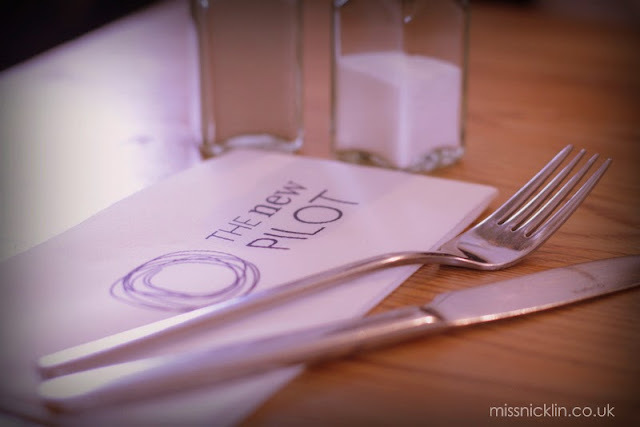 If you like a pub with great food quality, local beers and lovely staff then you should definitely give The Pilot a visit! 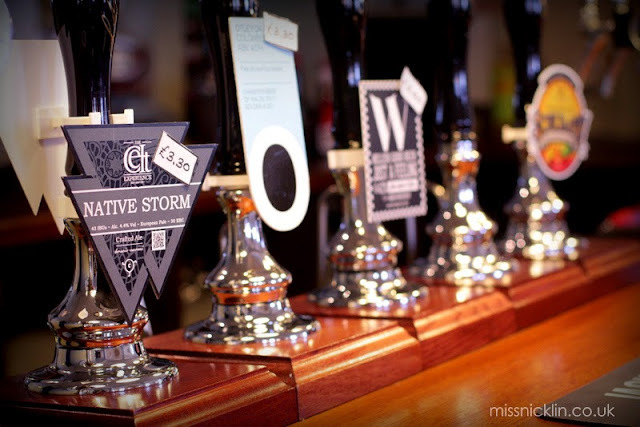 They also have a special cocktail offer on Thursday evenings if ale isn't your thing, two cocktails for the price of one!